Get the best pregnancy gifts to spark joy (or a laugh) in new moms. Being a new mother is an exciting time. It comes with many joys, anxieties, fears, physical and emotional pains. Each and every pregnancy is different. 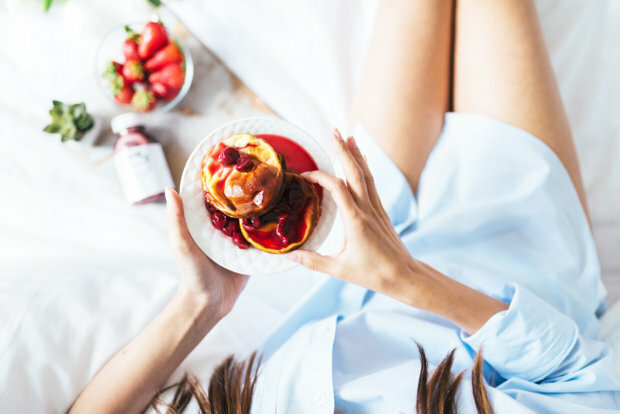 Some women need to make big changes in their daily lifestyles, such as incorporating healthier foods, while others may experience a lot of physical pain due to their growing bodies. Growing a tiny human is a lot of work, especially if it is the first pregnancy. However, there are many modern amenities available to newly expectant mothers to make the next nine months of their lives as enjoyable as possible. If you are looking for a gift for someone who is pregnant for the first time, then look no further. Here is a comprehensive list of just about anything the mama-to-be would love to get. Pregnancy brings a lot of changes to a woman’s body. From hormonal to physical changes, expectant mothers tend to experience a lot of pain and can be an emotional roller coaster. Help make mama-to-be as comfortable as possible and maintain that beautiful pregnancy glow with these comfort and personal care gifts. A pregnancy pillow are a total lifesaver for pregnant mamas. The super soft covered, memory foam pillow supports mama’s growing body in all the right places. It is ideal for snuggling up with in bed and giving proper support to the belly and hips. It can also be folded in half to provide great support for sitting reading a book or working on the computer. As a first-time mama, it is very important to keep her skin well moisturized to prevent uncomfortable itching and stretch marks. This skincare set includes foot and hand cream, belly butter, and lip balm made from all natural ingredients like cocoa and shea butter. The mama-to-be will feel like a beautiful glowing goddess with her soft, moisturized belly! Many women experience severe morning sickness during their first pregnancy, particularly during the first trimester. This bracelet provides quick relief without worrying about additional side effects to mama or baby. It releases a low-frequency, adjustable pulse that prevents the nausea signal caused by the brain to travel to the stomach. Relaxing baths are mandatory during pregnancy (for the health of the baby of course)! Make sure mama-to-be is able to pamper herself with pregnancy bath salts. These are specially formulated to help relieve pains associated with pregnancy and improve sleep quality (which every pregnant woman could use!). Want to make sure the mama-to-be is showered with gifts but not sure what to get her? Bump Boxes are a perfect option and include things that an expectant mother would need during each trimester. For example, anti-nausea bracelet in the first-trimester box, a sonogram frame for the second trimester, and non-slip socks for the third trimester. Oil diffusers are great for both relaxation and energizing an expectant mother. This beautiful starter kit comes with a variety of oils. Peppermint oils aids in mental clarity (uh…where did I put my keys?) while lavender oil aids in sleep. First-time expectant mother (or just about any pregnant woman) think about food often. Help mama-to-be make smart and nutritious food choices with these food-related gifts. Pregnancy requires a whole host of eating challenges. No more sushi! It can be difficult to know what is best to eat and when. This book takes the stress out of knowing what to eat by giving mama-to-be a week by week guide with simple nutritional guidelines and healthy recipes. It also includes advice from real moms like, how to handle nausea and cravings. This tea starter pack includes nine different types of tea to help support pregnant mamas. Each type of tea is formulated to support different stages of pregnancy, such as late pregnancy when baby is getting ready to arrive. Help the mama-to-be stay hydrated with this motivational waterbottle. This is really a one of a kind water bottle that she is sure to love. It includes weekly stickers to put on the water bottle to track the weeks of her pregnancy in comparison to fruits and veggies, motivational quotes printed on the side, and easy to read measurements of water based on the time of day. 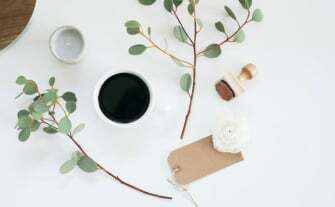 Is the mama-to-be a coffee addict? She doesn’t have to completely give up her vice just because she is expecting. The Mama Coffee contains half the caffeine, is low acid but keeps all the flavor! Although 9-months might feel like an eternity for expectant mothers, it also flies by before they know it. Help the mama-to-be remember every little detail with these journaling and book-related gifts. Help the mama-to-be chronicle her new journey with this beautiful little pregnancy journal. 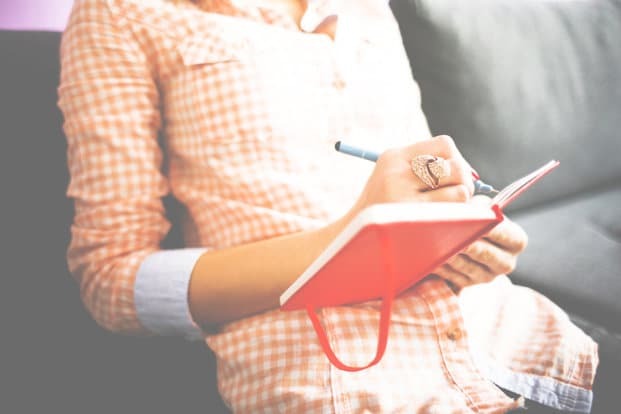 Starting at week 6 and going week by week, this journal helps expectant mothers record their physical and emotional feelings in a funny and sensitive way. It includes beautiful watercolor illustrations of what size the baby is each week, such as blueberry at week 7 to a kiwi at week 13, and beyond. With a spot for all three trimesters, expecting moms can put their little bean on display in this beautiful white wooden frame with silver foiled writing for each trimester. Once the frame is filled up, it can be proudly displayed in baby’s room. 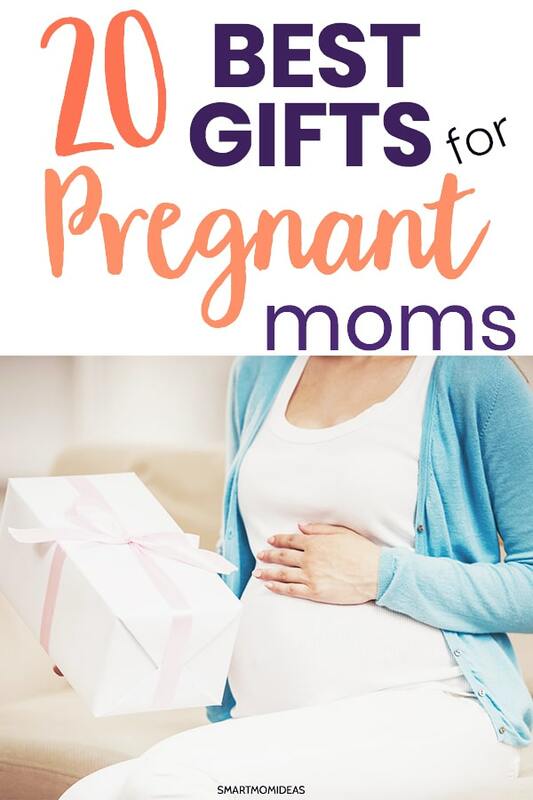 Help the mama-to-be take some of the stress out of planning for baby by gifting her this guide that outlines 50 tasks to complete during her pregnancy to be better prepared for baby’s arrival. From planning her maternity leave to starting a college fund for baby, this pregnancy guide will give mama practical and proactive steps to make her feel prepared for baby’s arrival. As a newly expectant mother, there are so many things to think about. Letters to Baby is unique and will be a truly treasured gift. The set includes 12 envelopes and letters with writing prompts like “my dreams for you are…” to help you share beautiful memories and hopes with her child. The letters can postdated and sent to the child when they are older or stored in a beautiful keepsake box. Expectant mothers love to take pictures of their growing bellies. Help her to show off her bump with these pregnancy stickers that include weeks 8-40 with four bonus stickers. Every expectant mother could use a little bit of extra humor during her pregnancy. If she is someone who likes a good laugh, these are the gifts for her! Every mama-to-be could use a little extra humor while growing her little human. With funny sayings like “the baby made me eat it” and “you’re kickin me smalls” (where my Sandlot fans at?!) there is no shortage or humorous t-shirts for first-time mamas. Check out my post on more funny pregnancy shirts. Even though the happy couple may have already made the official announcement, help them to celebrate their new arrival with these pregnancy announcement coffee mugs that have the established date printed on the mugs. These will be great for all the Instagram selfies they will be taking! Check out this post for even more great pregnancy announcement ideas! These socks are perfect for pregnant woman and their ever-swelling feet. Lined with fuzzy softness and non-slip words on the bottom, these socks are great for waddling around the house or the hospital on delivery day! With cute sayings like “if you can read this rub my feet” and “keep calm and push on” any mama-to-be would appreciate these. This book is downright hilarious! Pregnancy can be a very magical time, but at the same time, it’s not all it’s cracked up to be. This activity book is filled with musings of what pregnancy is really like and fun activities like quizzes, mazes, and other mad lib type hilarity. Beware though, this activity book is NOT for the easily offended! It is great to be able to shower newly expectant mothers with gifts, but sometimes it might just be a little extra help that they need more than anything. Here are a few ways you can gift things to a mama-to-be that don’t require opening your wallet, just your heart. Mamas-to-be need a lot of rest because they won’t be getting much when baby arrives. Offer to come over and clean up her house while she takes a nap or a nice relaxing bath. 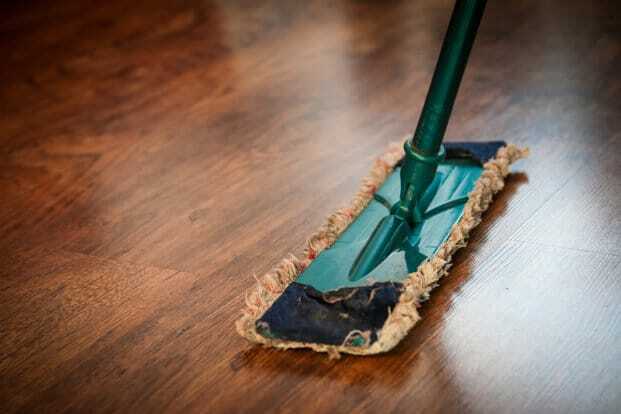 Or if you don’t have the time to clean someone else’s house, (or feel weird about it) you can also hire someone. Are you a good cook? Then help out the mama-to-be by cooking for her. Make up a few meals and deliver them to her. This is a great option for expectant mothers that work full-time who might not have the time to meal plan or cook healthy meals. If you are feeling really ambitious, whip of 30 days worth of freezer meals for her to have on hand after baby arrives. This way the only thing she will have to worry about popping the meal in the crockpot, giving her more time to spend with her bundle of joy. If your not great at cooking you can also consider a meal delivery service or send her a healthy snack box. There you have it! 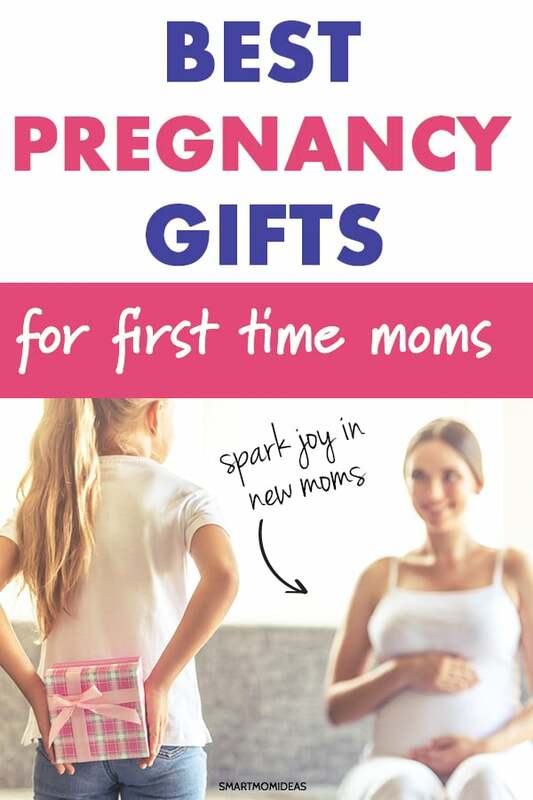 Best pregnancy gifts for new mamas! If you’re friend is pregnant or your sister or someone you know, give them one of these gifts to help them enjoy pregnancy and make memories! 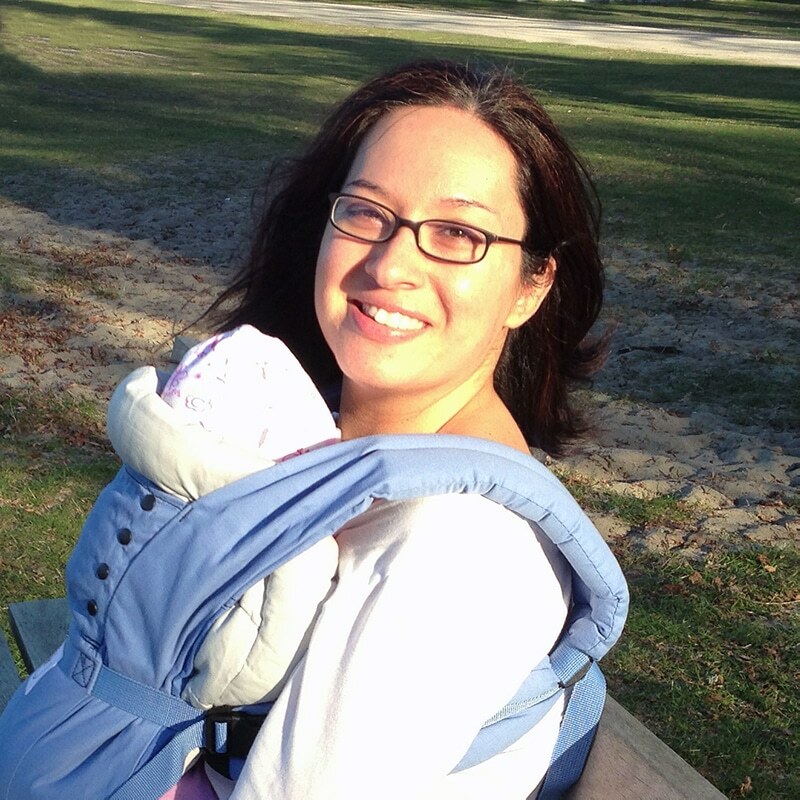 Over to you – do you remember a special gift you received when you were first pregnant? Share in the comments.